Passenger air travel and cargo movement is increasing phenomenally. New airports are being built and old modernised to cater to the increasing demand. India is amongst the top five fastest growing markets. Besides flight and ground safety, environmental protection is the most important issue for all aircraft operations. Aviation related Carbon Dioxide (CO2) emissions are currently approximately two per cent of the global Greenhouse Gas emissions and growing with growth in aviation. Managing airport construction-related pollution, operating waste, noise and chemical emissions are some of the concerns requiring technological solutions. Ecological airport redesign, changes in operating procedures and eco-friendly initiatives, can alleviate environmental pressures without causing passenger and operational stress. The environmental programmes have to be scientifically evolved specific to each airport. Balance has to be maintained between social, economic and environmental imperatives. Target is to produce the greatest improvement in the quality of life of citizens. Airports have considerable effect on urban development and have negative impact on the environment. At a local level, even though noise seems to be the main concern, air emissions, resource (energy and water) availability, waste/water management, ecosystems and land use planning constitute issues that are directly linked to local communities’ tolerance. Environmental impact and sustainability requires life cycle sustenance. Selecting a site for airport or its expansion, must consider ecological balance, bird and animal habitats, compatible land use, landscape deterioration and biodiversity damage. Need to work with local communities and organisations to conserve biodiversity on sites near airports. Avoid building on green spaces. Where there is no viable alternative, work with those affected to mitigate and/or compensate for biodiversity impacts. India sees a fairly large numbers of bird and animal collisions with aircraft and ground vehicles. Wildlife hazard mitigation is an issue. Often the habitats get destroyed during airport construction and they are forced to create nesting areas within the airport. Dogs, wild boars, Blue Bulls and even elephants find their way into the airports. Airports should not be built near wildlife reserves. For flight safety, anti-bird nesting measures must be taken and bird flocks and migratory routes identified using Avian radars. Noise disturbance is a difficult issue to evaluate as it is open to subjective reactions. There are significant consequences on the surrounding areas as takeoff and landings are a major source of noise. Large airports normally install noise monitoring systems, put operating restrictions and limits, manage air traffic, create anti-noise barriers and support home insulation. Adverse effects on people living close to an airport, could include interference with communication, sleep disturbance, annoyance responses, performance effects and cardiovascular and psycho-physiological effects. Aircraft flying at a height of 10,000ft do not usually produce ‘significant’ noise impact. Noise monitoring computer software models produce aircraft-wise noise footprints to help calculate noise levels around the airport. These noise ‘contours’ can then be placed on a map to see which communities are subjected to different degrees of noise levels. All commercial aircraft are supposed to meet the International Civil Aviation Organisation’s (ICAO’s) noise certification standards. The ‘balanced approach’ is reduction of aircraft noise at source; land-use planning and management measures; noise abatement operational procedures and restrictions. Avoiding overflying residential areas hospitals and schools as far as possible; using least affected runway(s) and routes; using continuous descent approaches and departure noise abatement techniques; avoiding unnecessary use of auxiliary power units by aircraft on-stand; building barriers and engine test-pens to contain and deflect noise; towing aircraft instead of using jet engines to taxi; limiting night operations; applying different operational charges based on the noisiness of the aircraft, are some of the measures. Degradation of local air quality is another issue. The most significant sources of air pollution (lead emissions) are aircraft, airside and landside vehicles, ground support equipment, fuel storage, engine testing, fire training and road traffic. Burning of worn out tyres during landing and takeoff contributes to particle matter in the air and fuel transfer and storage facilities contribute to increased volatile organic compounds (VOC) concentration. Key pollutants of concern include oxides of nitrogen, carbon monoxide, hydrocarbons, particulate matter, sulfur oxide and carbon dioxide. The most commonly applied measures to control air pollution include air quality monitoring systems, air traffic management, promotion of green transport, reduction in commercial vehicle trips through efficient public transport like airport Metro etc. As airports cover large areas of land, it creates large quantities of runoff water which has to be effectively managed to comply with environmental standards before being discharged. Water is a valuable resource, one that needs to be used sparingly. As infrastructure providers, airport use significant volumes of water in operations. Regular water usage monitoring, leak detection and targeting, and introducing water conservation practices are important. Airports may install various leak detection systems, install water reduction devices and implement water recycling operations to reduce the demand of potable water. Drainage and rain water harvesting have to be inbuilt. Airports generate large quantities of waste, including by companies involved in cargo handling, retail, flight catering and aircraft maintenance. As most of the waste produced at airports is generated by customers and contractors, it is important to encourage good waste management practices. A holistic waste management approach would include efficient disposal and recycling of engineering material and human waste. Airport water run-offs are known to contain high levels of chemicals and toxic substances coming from aircraft and airfield de-icing, fuel spillage, fire-fighting foam, chemicals and oils from aircraft and vehicle maintenance, detergents used for aircraft and vehicle cleaning etc. Waste water and effluents need proper management to avoid polluting the environment. Most common measures applied against these are waste-water and sewage plants, drainage systems, surface and ground water quality monitoring, oil/hydrocarbons and grease separators, use of biologically degraded de-icing and anti-icing agents. Internationally, aviation is considered one of the fastest growing sources of Greenhouse Gas emissions. Even though aircraft emissions are not included in Kyoto protocol, emissions that are directly controlled by airport operators are ground-based and therefore are subject to national targets. Air pollution caused due to various reasons including the burning of aviation fuel, greatly contributes to climate change. Disruptive weather affects aviation the most. The most important measures require improvements in energy efficiency and conservation, ground fleet conversions, low-emission power generation plants on site or renewable energy supplies. Geothermal, hydropower, solar or wind power is used to cover a significant proportion of energy needs. 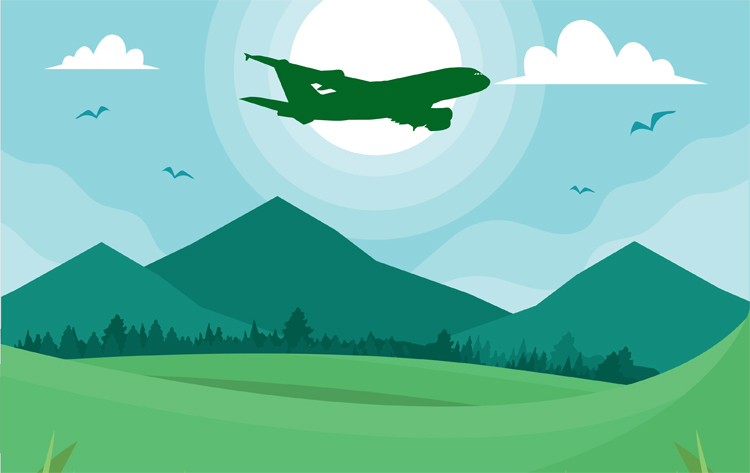 Many airports focus on achieving carbon neutral operations. The flight efficiency approach requires choosing optimum routes. 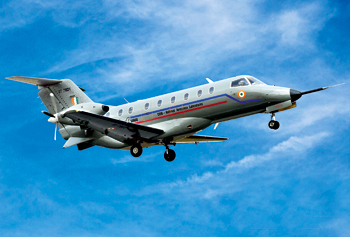 All aircraft operators and computerised flight plan service providers exchange and compare their flight plans with the best filed flight plan accepted by the integrated initial flight plan processing system. Special software tools show shortest route plans. Dynamism through the application of the Flexible Use of Airspace (FUA) concept, under which the military release airspace to civil aviation helps. 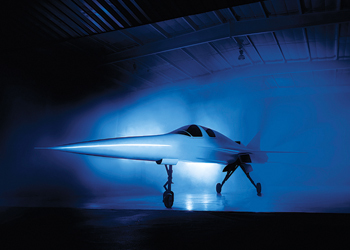 This allows substantial savings in distance flown, time, fuel and environment. 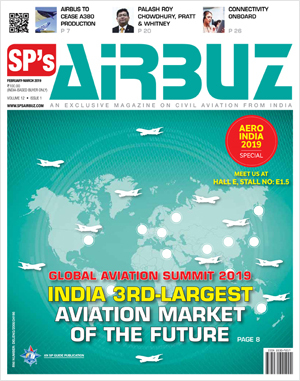 India’s Directorate General of Civil Aviation (DGCA) which is responsible for all aspects of enforcement and regulation, has an Aviation Environmental Unit. All operators such as the airlines, navigation service providers and airport authorities too have environmental cells. It is mandatory to submit to DGCA monthly fuel consumption data to set up a carbon dioxide emission inventory. The DGCA sponsored noise study for Indira Gandhi International Airport (IGIA) Delhi has now become the standard for all major airports in India. DGCA has laid down guidelines for noise measurement and monitoring at airports, including noise mapping, validation, action plan, noise reporting and proposed aviation noise limits. 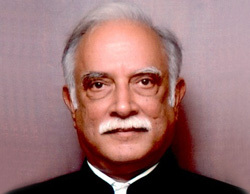 DGCA is evolving an aviation environment policy. IGIA was the first Indian Greenfield airport built with international best practices keeping environmental excellence and sustainable work practices in mind. The focus is on natural resource conservation, pollution preventions and environmental skill development. All the aspects and associated impacts due to services and operations is based on ISO 14001:2004 Environment Management Systems (EMS). IGIA ensured building green infrastructure, renewable energy initiatives, climate change and Greenhouse Gas management, followed international environmental standards and controls, and resource conservations (water, energy, & materials). Noise abatement is one of the key areas. Automatic aircraft noise monitoring system is installed on approach path of all runways and identify noisy aircraft. Distribution of aircraft movement across the three runways is based on time of the day and individual aircraft noise levels. Inputs from noise complaint system are also factored in. Continuous decent approach is followed to reduce noise. Other major airports have introduced several energy-efficient technologies such as energy efficient air-conditioning and water chillers, solar water heating, solar boundary lighting, Compressed Natural Gas or electric ground vehicles, LED lighting, waste water treatment plants and high efficiency pumps. 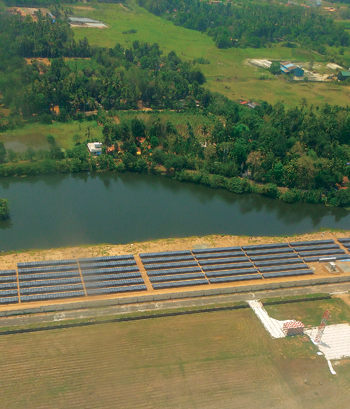 Cochin, Delhi, Mumbai and Chandigarh airports have already installed solar power plants. Bengaluru and Hyderabad airport solar projects are under implementation. Ultimate aim is to make the airports carbon-neutral. Bengaluru has 273 hectares of green belt and 971 hectares of natural greenery. Chandigarh International Airport uses only natural light during day and mostly LED lighting thereafter. It also has a transparent glass roof with low heat gain that cuts down air conditioning requirement.